Hofmann's discovery of the effect of LSD in Basel came 5 years after his original synthesis of the molecule in 1938. LSD-25, as it was called then, was synthesized and tried on animals. No interesting effects appeared, and the molecule was consigned to the "useless" heap. If it had stayed there, the state of today's world would be different. By the end of November, 1942, scientists in an underground lab at the University of Chicago were ready to test the hypothesis that Enrico Fermi's method of slowing the emission of neutrons from a pile of uranium was safe. They could produce a chain reaction that would not gallop out of control and set the world on fire, they reckoned. 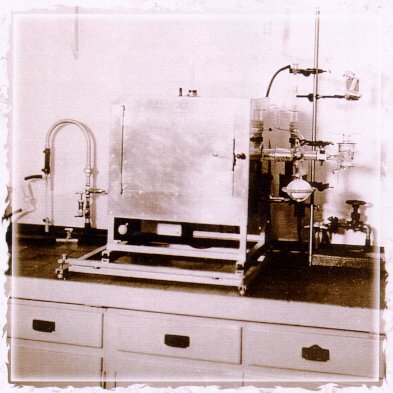 On December 2 the instruments to measure the reaction were in place. The pile went active. A cheer went up. Leo Szilard, one of the physicists present, had gone out that morning and bought a bottle of wine and some paper cups in case the experiment succeeded. When it did, and it was time to celebrate, Szilard offered a toast. "This will go down as a black day in the history of mankind," he said. 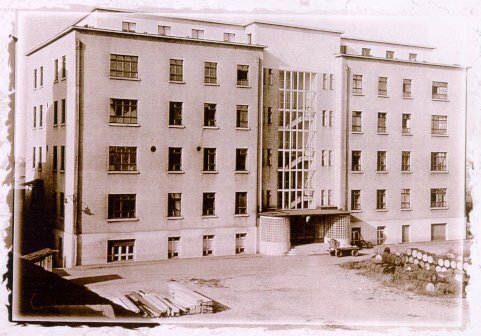 130 days later, or 131 or 132 - Hofmann is not sure - the chemist in the old Sandoz lab (since demolished - see photo) had what he called a "Vorgefühl." The usual English word for this is "presentiment," but the German word suggests something stronger than the laid-back "presentiment." Something was telling Hofmann to retrace his steps and perform a new synthesis of the discarded molecule, LSD-25. It had to be that molecule and not one of the others consigned to the "useless" pile. (The first photo below shows the equipment Hofmann used.) The second synthesis was completed on April 16. Accidentally, Hofmann breathed in or swallowed some of the material, and had the merit to realize, when its effect came upon him, that something of momentous significance had happened. He assumed LSD was the cause, and waited until the next working day, a Monday, to try again. The assumption proved right, and a new chapter of history opened. Soon, the directors of Sandoz Pharmaceuticals were trying LSD, and a research project under W.A. Stoll, psychiatrist and nephew of one of the Sandoz directors, took shape. Those must have been exciting days. More than 40 subjects, the majority busy, working people, participated. Hofmann does not remember what he was doing when the "presentiment" came over him. He won't say if it came in a dream, or if he was in a state of unusual lucidity. One is free to speculate that the "instruction" to re-synthesize LSD came from a spiritual power which intervenes in the affairs of man to restore order when the danger of disorder has become too great. 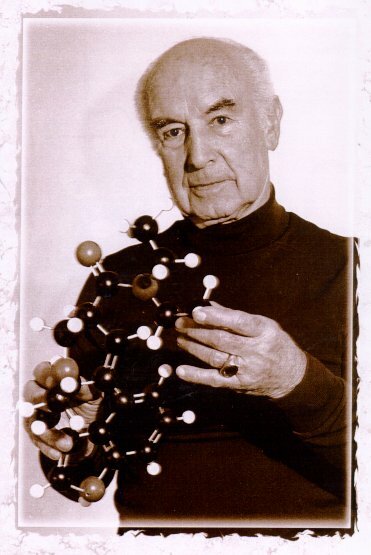 The reckless act of science in Chicago in December, 1942 was remedied in Basel four months later, with Albert Hofmann chosen as the instrument to perform the cure.